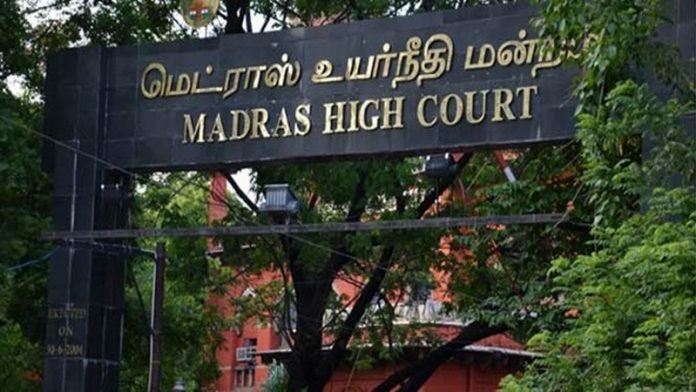 Chennai: Observing that the Central Goods and Services Act was enacted with the laudable object of “one country one tax”, the Madras High Court on Tuesday dismissed the anticipatory bail applications filed by nine persons apprehending arrest under the provisions of the Act. According to the prosecution, various organised firms and people have involved themselves in issuing fake invoices, without actual supply of goods or services, and are also receiving fake invoices without receipt of goods and availing input tax credit to cheat the exchequer. In the present case, the companies concerned had involved in issuing fake invoices without the supply of goods and received fake invoices without receipt of goods and thereby, committed offences under the CGST Act, 2017, it said. In the process, the exchequer had suffered huge loss, running to several thousand crores of rupees, it added. The department (Goods and Service Tax Network) must be given the complete independence to investigate the cases since it involved the national interest, the court said. “This court, by entertaining the petitions and by imposing certain conditions, should not tie the hands of the department in proceeding further with the investigation since what has been unearthed till now is only the tip of the iceberg and there is a long way to go for it to find out how long these fake invoices have extended their tentacles,” the judge said. It was true that the entire issue was borne out by documents and once the petitioners co-operated for the investigation by submitting all the relevant documents, they should not be unnecessarily arrested, the judge said. “However, it is a settled proposition of law that this court, while considering a petition for advance bail, has to necessarily take into consideration the nature and gravity of the accusation. “When a case involves serious offences, grant of the relief by itself will cause prejudice to the investigation,” he added. Wherever the department found that certain provisions of the Act were misused by creating fake invoices and input tax credit was being availed without any movement of goods, it had to be curbed and nipped in the bud to ensure that it did not grow into another mega scam, having a direct impact on the economy of the nation, the judge said. Since the department had collected some prima facie materials, it wanted to act fast before it became a huge racket, failing which the entire economy of the country would weaken and collapse, the judge said and dismissed the advance bail pleas.